"The vegetation here is thoroughly mixed, it’s hard to tell if you’re in the Alps, on the shores of the Mediterranean, or somewhere in the tropics. Umbrella pines. Mimosas. Fir trees. Palms. If you take the boulevard up the hillside, you discover the panorama: the entire lake, the Aravis mountains, and across the water, the elusive country known as Switzerland." Why “elusive”? We never learn why. “I didn’t yet know that Switzerland doesn’t exist.” Perhaps it is the notion of safety that doesn’t exist. A nineteen-year-old is not expected to know that, not then, not now. Modiano liberally salts his work with phrases that fill us with an unnameable dread. Count Victor is no more Count than you or I, but somehow we’d rather believe that than whatever it is he is running from. He is the son of Russian Jews, and the Second World War is over at least fifteen years. He is wealthy beyond imagining, but he has fear: he’s “scared to death” he tells us early on as he recounts the time he met Yvonne and Meinthe. Modiano writes like a painter paints. He weaves sound and scent along with color and emotion, light and dark. In the end, the three of them, The Count, Yvonne, and Meinthe make quite a hit in that town at that time. Photographs show them glamorous and solemn, walking arm-in-arm beside the dog, Meinthe taking up the rear. Meinthe and Yvonne win the coveted Houligant Cup for that year and are sought-after companions for their edgy stylishness. Gradually Menthe and Yvonne share pieces of their shadowy background with Victor, and the glamour, he realizes, is all rhinestones and rust. When “France suddenly seemed to [Victor] too narrow a territory,” he proposed they ditch the local act and take to the road, somewhere where they could show their true capabilities…America. Later, when it is all over, we think that perhaps Victor’s fear is his youth, his aloneness, his uncertainty. He grew up that summer by the lake, and saw most of what there was to see. Later, when he ambles under the arcades on the Rue de Castiglione reading a newspaper, his education comes full circle, and the mystery begins again. 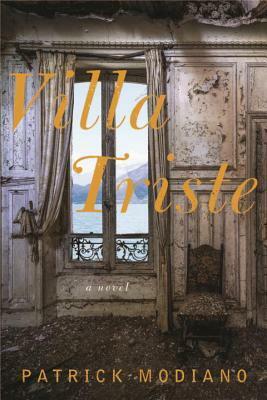 Promotional copy for Villa Triste, due out today in a new translation by John Cullen and published by Other Press, calls it Modiano’s most accessible novel. It may well be, but all Modiano’s great themes are present. This fine translation does justice to the underlying greatness of the work. A fine piece of literature that can keep you mulling events over in your head for a long time to come. Louis Malle and Patrick Modiano collaborated on a screenplay about the lives of a few individuals in 1944 during the German occupation in France. What is so remarkable about this small book is how so few words or body movements depict the devastating complexity of lives torn by war. The screenplay opens with a seventeen-year-old boy, Lucien, diligently and thoroughly doing menial labor cleaning in a charitable nursing home. Our judgment of the boy changes much in the process of the play but this impression will be one we will be reluctant to divest. Lucien comes from a small town in southeastern France that is a hotbed of resistance against the occupation. One day, standing on a limestone plateau with a flock of sheep, Lucien sees the wider world stretch out below him. He is just at the age when he realizes he can turn his bicycle in a different direction from the town where he works to seek out a different experience. The world is full of danger, and one must be constantly vigilant not to fall into a trap, even though ultimately we cannot escape. 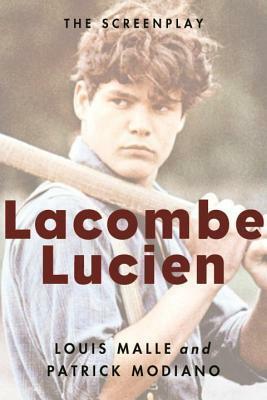 The ease with which Lucien kills a small bird with his slingshot and leaves it lying in the courtyard is how, at the end, we view this work by Malle and Modiano. Filled with banality, tragedy, and senseless death, we recognize the underlying truth of war and the human condition. This classic work of literature packs so much humanity into a glance, a phrase, a movement of the arm that it becomes the essential reading experience. 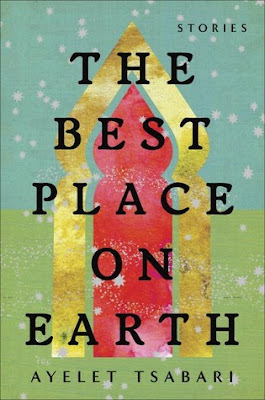 It is only 100 pages, short enough to be read in an afternoon or evening, and yet its effects last forever. This is the way to describe people in extremis. It happened just like this. Re-published by Other Press and due out this week, this is a book you must read to get a glimpse of how great literature manifests. During the election pre-season in America, I was as surprised and intrigued at the support for Donald Trump as the rest of the thinking universe (not the pundits, of course). As I laughed at his unscripted policy-free speeches and intentionally note-worthy off-the-cuff remarks, I remember thinking I would love to see the effect of his ‘shock and awe’ campaign on someone like Putin. I thought Trump would be too unpredictable and outspoken for Putin. I am ready to take that back. In a weird kind of way, both men, neither political operatives at the start of their careers, are a similar kind of not-liberal, not-conservative, whatever-works nationalist kind of politician. And both have created a cult of personality to facilitate a kind of one-man rule. A really strange event occurred early in Putin’s first presidency: the bombing of the apartment buildings in Moscow and the sacks of FSB-sourced explosives found in the apartment building in Ryazan. These incidents have never been satisfactorily explained, and could be an example of a bureaucracy grinding out [imperfect] solutions to perceived problems that impact Putin & Co. In a case like that, or in the case of sheer incompetence (also an enduring feature of large bureaucracy), it is not hard to see Putin keeping mum out of loyalty to those he is protecting. Bill Browder’s account of his time making money hand-over-fist in the 1990’s in Russia, Red Notice, mentioned that powerful figures known to Putin wanted the real estate on which those apartment buildings were built and were meeting resistance. Some actions, like poisoning political opponents or shooting reporters in the the stairwells of their buildings, are simply too crude, destructive, and beneath the dignity of someone in power to imagine they are a “command.” Whatever the truth of the matter, this did not have to originate in the Kremlin to be horrifying in its motivation. It does appear, however, that it was condoned by the Kremlin since a good explanation was never uncovered. Russia is a huge country. “Too big, really” says Ian Frazier in his big book Travels in Siberia. Putin says its size and different cultures is the reason there cannot be a representative democracy like that in America. Since even America doesn’t seem to the have the process working very well at the moment, it is difficult to pretend to know what difficulties arise when trying to restore the kind of power that was shattered by the overthrow of the tsar in the twentieth century in Russia. The only thing I would concede is that ruling Russia must be a very difficult job, particularly when one is looking backward. One must look ahead, not backward, when one is leading, it seems to me. 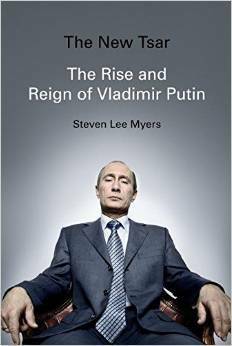 I feel like I have gotten a terrific education reading this book and am much better able to parse news coming out of Russia, Europe, and the Middle East today. I can now put Putin into the context vis-a-vis U.S. diplomatic relations. Clinton must be the last person Putin would want to see be elected president in the United States, and in some ways Trump is as unpredictable as Putin has claimed he has tried to be. But I am not recommending a vote for Trump. I think a better choice might be neither of these two. 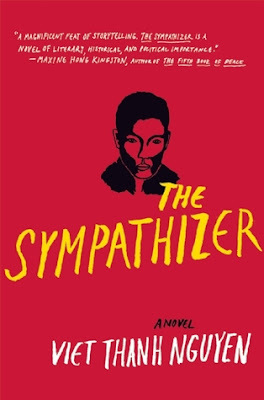 Nguyen uses the trope of a spy to articulate the experience of “the immigrant” or “the other” in American society. But that’s not all. Nguyen wades into the nature of rebellion, revolt, war, governance, literature, novel-writing, self-examination and -actualization, the duality of human nature, and our essential aloneness. Despite the anguished cry of our unnamed narrator, our “Captain”, at the end of the novel, what Nguyen has given us is not nothing. As the novel draws to a close we in fact wonder if the narrator isn’t talking about the author himself in the process of “writing what he knows” in a novel: the “confession” our Captain gives to his interrogators is the long, discursive narrative this author has crafted from imagination and experience straddling two countries with [sometimes violent] overlapping histories, forcing upon him some truths which cumulatively might seem like 295 pages of “nothing.” The hilarity of his despair might have seemed the author’s alone, but his skill is such that we readers know exactly what he means. Nguyen is uniquely positioned to see into the essential differences and similarities in the Vietnamese and American experience, and as a writer he cannot not write about it. Our boon is that the author is so exquisitely talented in uncovering and expressing our essential humanity, something which should give us all pause. Humanness is an imperfect, often anguished state, Nguyen seems to be saying, but it can also be very funny. In order to appreciate the joke, however, we have some self-examination to do. Captain is writing his “confession” to Man, his lifelong friend and now a commissar in the Viet government after the “fall” of Saigon—a loss of innocence in every regard. Captain lives in the United States, and has returned to Vietnam to make sure his other lifelong friend, Bon, doesn’t die in an ill-conceived attempt to destabilize the new Vietnamese government. Bon is a former Phoenix operative with endless Vietcong kills to his name. The Captain’s boyhood friendship with Man and Bon was sealed when the boys cut their palms and shook hands, mixing blood. Thereafter, the gesture for hello or goodbye revealed the stigmata of their friendship. What are they fighting for again? Don’t worry: this novel is not heavy on political theory. You will just want to move slowly through Nguyen’s world. He is telling us something that we need to hear, like why film roles for Vietnamese actors are filled by Filipinos, Koreans, or Japanese actors. The Captain became involved in the making of a film about the Vietnam war in order to give strength and credibility to the portrayal of the Vietnamese people but he was disrespected, uncredited—literally blown off the set—and he never did manage the optics on perceptions of Vietnamese. Nyugen's recounting of the shooting of The Hamlet in the Philippines was such a magisterial set piece (and yet its visualizations link everything in the novel) that it will be resurrected endlessly whenever mention of this book comes up. A debut novel so packed with insights into the human experience—how we justify our choices and how we try to spin outcomes—doesn’t lead us to expect that Nguyen would write with such verve, perspicacity and humor. Everything is illuminated in this novel, down to the very nub of the author’s own perceptions about women. It was perhaps too long a book (not every word counted), but because the book is a debut, the author had no reason to expect he’d get another chance to write all he has learned. This novel is a spectacular overload filled with all kind of fancy pyrotechnics that recall America's most revered writers. In an interview with Angela Chen, writing for The Guardian, Nguyen tells us he did not pander in this novel to Western ideas of immigrants. This is true, but he did use a Western instrument—the novel—to illuminate for Westerners the Eastern, the immigrant experience. And he wields it better than most Westerners. What sweet success it must have seemed when he was acknowledged with the Pulitzer Prize, awarded April 2016. 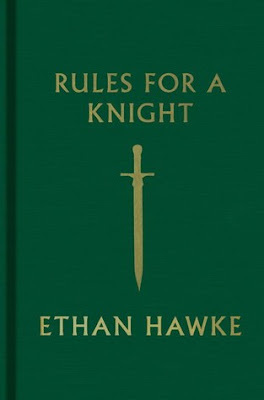 Hawke adds chapters on surprising things, like "Equality", and his chapter on "Love" is heartfelt and personal. His chapter on "Death" shares a wisdom we can all use. Hamilton never ceases to amaze me. He writes a fiction series about an unlikely heroine, Ava Lee, who does forensic accounting for a living. Throw away all those notions you had about accountants being boring. There is nothing even remotely ordinary about what Ms. Lee does, and the fact that her work has her traveling the world regularly adds to the mystique. While most series have a level of predictability after awhile, this series never does. We are treated in this episode to the most lovely charting of how corruption might work in China. You heard some time ago about Bo Xilai and his wife Gu Kailai, famous now for the murder of a British businessman. Bo was a “princeling” of Chinese politics, one of the Eight Elders of the Communist Party of China. He was also governor of Liaoning province and held an important role in the Northeast Area Revitalization Plan, giving him power over what is accomplished and who gets to do it. A result of all that power was a myriad family-owned businesses, dubious connections, graft, and coercion that allowed his family to acquire untold wealth. Cut to Ava Lee, in Shanghai for a fashion show highlighting her fledgling company’s first collection. One of her backers is the head of the Triads, who comes under pressure from the “princeling” of Jiangsu province (the wealthiest in all China) to start up a synthetic drug operation. Well, Ava decides the best way to get this powerful, unreasonable man to back off is to expose his families dealings. And then Hamilton kindly gives us an education to exactly how graft and corruption can occur in China. You may not be as impressed as I was, but let me tell you I have tried to figure out how this works for years…it always seemed just too blatant to be possible. But the hidden networks of power make it extraordinarily difficult to reveal the true source of the corruption. You will note that only last month the Panama Papers revealed that Chinese President Xi Jinping had extensive hidden overseas caches of money in the names of companies headed by close family members. Well, Hamilton shows how this might be possible. In this episode there is relatively little exhibition of Ava Lee’s background in bak mei kungfu , a particularly lethal type of Chinese martial arts often used by palace bodyguards in centuries gone by, but there is a little, where Ava takes on two thugs sent to kidnap her into silence. 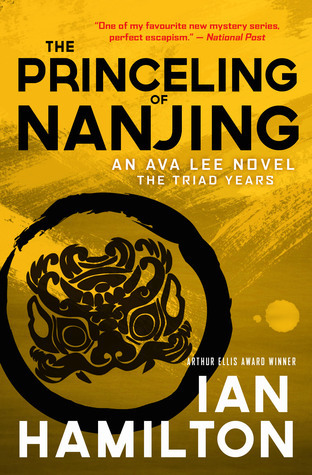 What gives the story impetus is the short time frame in which Ava uncovers the links that made a provincial Chinese governor a billionaire, and the danger that lurks behind every phone call and meeting. In the United States I doubt we’d be using cell phones like Ava did in Shanghai and Nanjing, without regard to who might be listening, but there have to be some ways to bypass plot killers. Ava is an avowed lesbian with a girlfriend in Toronto waiting for her return, but we sense Ava’s growing attachment to a powerful man in Shanghai and expect that one day that attraction might burst into flame. The unexplored sexual tension adds piquancy to their conversations around the breakfast table slurping congee with scallions. And that’s the other thing about this series that is so delightful: if you’ve ever wondered what to order at a Chinese restaurant, look no further. Hamilton details for us the most exquisite meals, whether at the Mandarin Oriental in Hong Kong or a hotpot restaurant in a side street there and gives us the manners and customs to go along with it. I defy anyone to turn up their noses at the menus items described. Hamilton was an international businessman and diplomat before he turned to writing. How he came up with a Asian lesbian as a leading lady in his novels is one of the great mysteries of inspiration. His tightly wound and disciplined main character is perhaps a bit too cool to imagine as a friend, but she is someone to admire, certainly, from afar. Hamilton never disappoints in this series, so if you haven’t indulged yet, make sure to get a couple books in the series to get acclimatized. This very fine fiction is as intellectually stimulating as it is culturally rewarding. We’ve all been there: we have one or more (sometimes many more) kids to look after or entertain for an afternoon and don’t want to be remembered as the “boring” one. But maybe we’ve used up all our ideas, or can’t use a couple, so are sort of desperate for some help. Donna Bozzo is a media personality with three daughters and lots of energy. 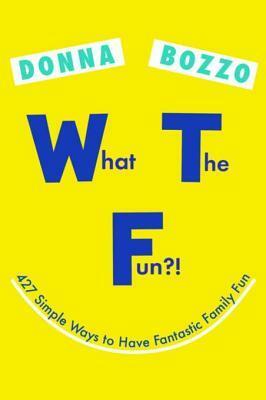 She has come up with 427 Simple Ways to Have Fantastic Family Fun, and has written them down. That’s one step beyond what most of us do and is ve-e-e-ry helpful when we feel braindead after a busy week. Moreover, Bozzo points out that we can have fun most days of the week with kids, not just on vacations or birthdays, even if we forget sometimes. Looking through this book I could see many time-tried favorites, like mud pies and singing in the rain, but she came up with a few new good ones that seemed doable and something I wouldn’t have come up with on my own. One I thought had potential was Nighttime Driveway Bowling with glow sticks placed in water-filled plastic bottles and a glow-in-the-dark- painted ball. Not sure your husband would agree to have us paint his basketball, but a ball of that size and weight might work well. Donna suggests an old medicine ball. (WTF?!) That sounds so Californian, but no…she lives in Illinois. One suggestion that doesn’t require painting anything is making a map on the walk to school. Seems like it could be a useful and fun, and maybe even a multi-day project, depending on the attention span, if the child is youngish. The book has a few photos which helps to get some idea of what she means when she describes making a robot, for instance, out of soup cans. But one photograph showed a woman in a beekeeper’s suit holding a hive frame covered with bees. 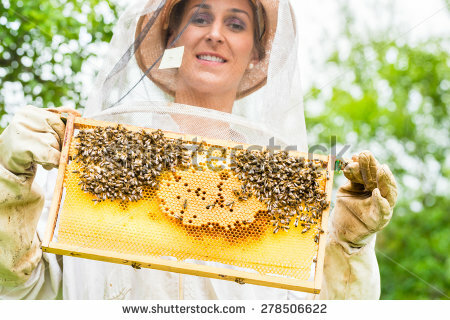 The woman is smiling through her mask, and the activity suggests you bring your kids to see the bees work. Bozzo adds “trust me” and I guess we’d have to…though unless you can come up with some hazmat suits in a small size, I might put this one off until the kids are old enough to give consent. When I read that you can have the kids report the weather like the folks on TV, using a green screen and some downloaded video footage, at first I thought, “oh come on!” But then I started to get kind of excited about the idea…mainly because I have a green cloth already that could be used for the screening. The cool thing is that everybody learns something with this multi-day project. The kids have to realize how they can speak about weather they can’t see—at least not in back of them. We’d have a little exercise in video-making (very absorbing for those who haven't tried it yet), and once the kids realize how it all works, they can use real weather outside the window to report…somehow I can see a three-year-old saying dolefully “It’s raining” in front of footage of heavy rain in the yard, or a twelve-year-old pretty quickly learning to film her friends doing real reporting in front of their own footage. This multi-day project has some real potential for fun and learning for all. So, when you are too frazzled to think much of anything, you might want to turn to a book like this to quickly pull something together for a party or something quieter for after school. You’ll see things you’ve done before, but you’ll also see how a busy, high-energy mother of three makes it work for her family. P.S. I note that, in production, this book had 439 Simple Ways to have Fantastic Family Fun. Now the title only claims to 427 Ways...Wonder if some of the projects weren't a little...you know...edgy...like the bee hive visit. Israeli fiction has had the effect on me of a loud, rambunctious, youthful group thoughtlessly jostling me aside as they enter a crowded bus. I look at it from under lowered eyes, trying without success not to judge. From my white middle-class American insulation I find the colorful opinions and actions of the Israeli diaspora “just too intense for me.” Gradually, I shuffle aside to accommodate the spirited group, listening without effort. When they eventually get off the bus before I do, there is a space where they were, and the silence feels empty. I was looking forward to being seduced by this collection. The first story, “Tikkun,” threatened my resolve. It slapped me awake, moral nerve endings jangling. What people are these, I ask, reviving my indignity. I think now the story was put first to do just that: these stories are going to rock your world, it seems to be saying, so be prepared to realign your carpenter’s level. All the stories seem to have a Yemeni connection, the characters descendants of Yemeni immigrants to Israel. Lili and Lana in “Say it Again, Say Something Else” are two bruised girls not really ready for the world but trying to act as though they are. In “Casualties” a young military officer plays at hardness, nonchalance, and devil-may-care until the reality in her life calls her cellphone. Two stories in the middle of the collection seemed technically and tonally perfect, gathering the angst and confusion of the culture. “Invisible” features a Filipina caregiver overstaying her visa while caring for an aged grandmother not her own, her distant extended family, and a demobbed soldier who has seen action. In “A Sign of Harmony” a young Israeli in India tries to find a thread of a road that she wants to walk amidst the clamor of cultures. “Below Sea Level” angles a selfish youth mentality to reflect into our eyes again, nearly blinding us to the whole human drama that comprises family. And “Borders” reminds us that family is what we make it, after all. These are stories about Israel’s youth, and as such, display youth’s tendencies toward self-absorption, a lack of history or responsibility for the future. In each story Tsabari captures a moment in time that is so transitory the characters may never know how it changed them, or how it changed us.